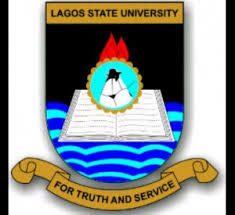 Lagos State University, LASU 23rd Convocation Brochure, Academic Gown, Leather Certificate Folder Payment and Collection Guidelines for Undergraduates and Postgraduate Students for 2019 Session. Invitation cards, Notice and Convocation Package will thereafter be issued on the presentation of receipt of payment. Note: A refundable fee of Two Thousand Naira (N2,000) only will be made to graduands on return of the Academic Gown. Any graduand who holds on to the academic attire beyond "Monday, 29th April, 2019", will be liable to a fine of Five Hundred Naira [N500:00] only, for each day of default. Also, any graduand who loses OR damages the academic attire would pay a sum of Ten Thousand, Three Hundred Naira [N10,300;00] only as replacement fee. Postgraduate Graduands [Ph.D Only) are required to pay a sum of Thirty- Five Thousand(N35,000:00) Naira only, into the above account number for procuring the University Academic Gown. First degree graduands are to move the tassels of their caps from right to left at a point during the ceremony, when the Vice Chancellor declares; “I admit you all”. This signifies their admission into the body of Graduates of Lagos State University (LASU). Higher degree recipients should put on their caps, with the tassels placed at the left hand side, since they already have their first degrees. ALL graduands should seek the assistance of Faculty Officers to ensure that the hood and cap are properly worn, with the tassels (cords) of the cap positioned to the right. Female graduands are expected to show courtesy when they shake hands with the Vice-Chancellor, while male graduands bow, but should NOT remove their caps. Parents/Guardians and Invited Guests are advised to be seated NOT later than 9.00 a.m. on each day. Graduands are to Join the Convocation Procession by 9.30a.m. Graduands in each Faculty are expected to be seated in the sections provided for them in the University Auditorium Complex. Unauthorized movements and taking of photographs will not be allowed during the Convocation Ceremonies. Graduands are therefore advised in their own interest to complete such activity before coming into the University Auditorium OR wait till after the ceremony. Any graduand who leaves his/her seat while the ceremony is on will NOT be allowed to return to the Auditorium. This is to ensure Orderliness during the Convocation Ceremonies. Graduands and invited Guests under the canopy outside the Auditorium are requested to be orderly and rise to their feet as the Academic Procession enters AND leaves the Convocation venue. Graduands should be properly robed; and are also advised to conform to the colour prescribed for their Faculties. The Vice Chancellor congratulates all Honorary Doctorate Degree Awardees, Distinguished Professor, Graduands, Parents/Guardians, Stakeholders and the entire University Community on the occasion of the 23rd Convocation Ceremony of the University.